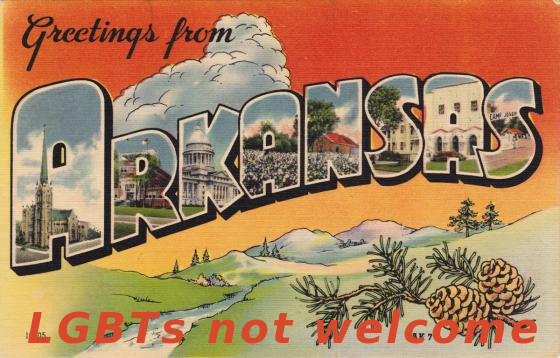 In brief, Arkansas is one of those states with a law passed in 2015 that is intended to invalidate municipal nondiscrimination protections for LGBT citizens. Sometimes I find it hard to believe that Bill Clinton was once the governor of Arkansas for a total of 11 years (with a two year interruption). Either the state was less self-righteous or Bill Clinton did a remarkable evolution. Clinton was succeeded by Democrat Jim Guy Tucker who was succeeded by Mike Huckabee (I have omitted the usual middle name for Huck). It's been all downhill from there. But I digress. It is a very well written ordinance. There is no ambiguity and each provision is justified in writing. The good Christians of Arkansas were displeased so they formed Protect Arkansas which caused the state to challenge the ordinance in court. A judge upheld the law. The matter is now before the Arkansas Supreme Court. The city's interpretation of the act, however, would neuter it, leaving the act unable to require statewide uniformity and unable to prevent the patchwork of varying discrimination laws in the 500-plus localities in Arkansas. I hope I am wrong but I suspect that the state will prevail and Fayetteville's ordinance will be invalidated. However, this “patchwork” nonsense has been used by North Carolina to justify HB2. It doesn't mean anything. The fact that Fayetteville has different nondiscrimination laws than, say, Little Rock does not serve as logical justification to create uniformity. So what? It is really a flimsy excuse but, sadly, I think that it will fly. 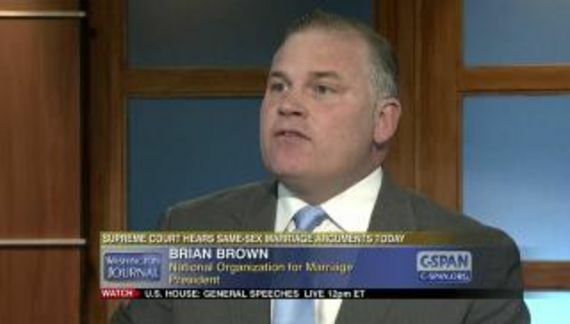 The fact that the state law does not protect LGBT citizens is simply pro forma Bible Belt BS. In reality the state is imposing a form of Christianity on every citizen. Tennessee and North Carolina have similar laws. A number of other states have laws crafted to provide an affirmative defense for anyone accused of violating a municipal nondiscrimination ordinance. Subsequent to the state ban being enacted, Fayetteville and Eureka Springs approved nondiscrimination protections for LGBT people. Limited measures covering only government agencies and contractors were enacted in capital-city Little Rock, Pulaski County and in Hot Springs. A ruling by the state's highest court would invalidate all of these protections making Arkansas a pariah. Business hates these things. North Carolina's law is being challenged in federal court.